The 3rd International Conference on System-Integrated Intelligence: New Challenges for Product and Production Engineering will be held in Paderborn (Germany) at the Heinz Nixdorf MuseumsForum from June 13th – 15th, 2016. Paderborn is situated midway between the Northern Lowlands and the mountainous central region. The city is full of many diverse and delightful attractions. With over 1200 years of history to its credit, it is steeped in historical tradition which has shaped the cityscape. Ancient and modern, sacred and spiritual, economic and political, all these qualities define the city’s distinctive character. You are cordially invited to come and spend a marvellous time in Paderborn. 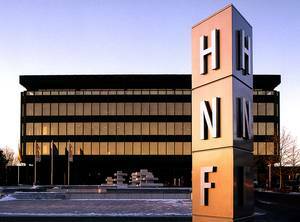 The SysInt2016 takes place at the Heinz Nixdorf MuseumsForum, closed to the Welcome Hotel. There is a contingent of rooms with a special fee reserved until April 15th for guests of the conference, bookable under the keyword “SysInt2016”. The prices are 93€ for a single room, including breakfast. To book rooms for this special fee, please book via e-mail undern.drese@welcome-hotels.com or call the reservation service under 0049 5251 2880-577 and mention the keyword “SysInt2016”.